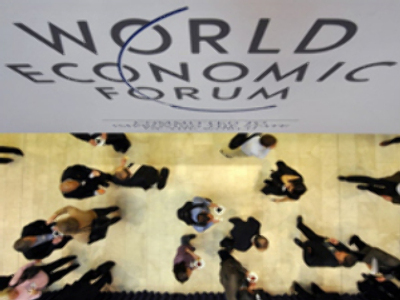 Russia's future has been the focus of attention at sessions of the World Economic Forum in the Swiss resort of Davos. 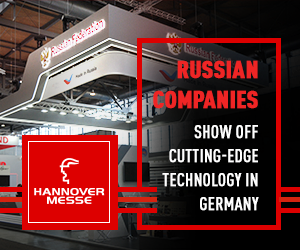 Delegates have been looking in particular at Moscow's relations with Europe in both the economic and political spheres. Discussions suggested that the world economy, on the brink of recession, can not do without Russia. Jean Lemierre, President of the European Bank for Reconstruction and Development, believes Russia and Europe will strengthen ties in the future. “And it's not only about energy but about trade, investment, production, industries. Russia is becoming a very important part of Europe the same way that Europe is an important part now for Russia,” Lemierre said. The panellists have come to the conclusion that in economics a new mood of realism towards Russia is prevailing. But when it comes to politics and Russia’s geopolitical aspirations, a heated debate continues. At a working dinner called “Russia and its Neighbours”, Moscow's relations with former Soviet states came under scrutiny. Charles Grant, Director of the Centre for European Reform in the UK, said there needed to be more understanding on all sides. “How do we Europeans and Russians – talk about Ukraine, Moldova, Belarus, Georgia? That’s different, that’s where we need to be more patient with each other and try and understand each other’s positions,” Grant said. It's almost two decades since the collapse of the Soviet Union, yet these relationships seem to be the least balanced. President of Lithuania Valdas Adamkus, for example, accused Russia of starting a new Cold War – just before coming to Davos. “A strong economic country has more opportunity – Russia is gaining its voice in international affairs – and sometimes in my personal opinion with some aggressiveness – and trying to be constructive with that approach doesn’t make us optimistic. There is no doubt that the neighbours are the target,” he said. But Russia's Finance Minister Aleksey Kudrin is determined that the logic of economic co-operation should overweigh the logic of political confrontation. “Russia, just like our neighbours, will be proceeding from pragmatic interests and approaches of its nation and its political, trade and other interests,” he said. Davos Forum wouldn’t be itself without big international issues being discussed here. On the final day of the Forum – a special session brought together the leaders of Iran and the leaders of American and Iranian foreign policy. At another session the prospects of the new international trade agreement were being discussed by Director General of WTO Pascal Lamy and the EU trade commissioner Peter Mandelson. He also met Russia’s finance minister Aleksey Kudrin on the sidelines of the forum – to discuss the issue of Russia’s accession to WTO. Mandelson believes it should happen soon. And although Davos seems to have lifted the spirits of even the gloomiest ones – uncertainty over the financial markets still pervaded the participants at the end of the 5-day get-together. And the global economic prospect remained unclear to the most. Some even forecast that the worst of this financial crisis may still lie ahead. This Davos Forum has been a rare occasion when thousands of the world’s most influential people got together to admit there is little they can do to avert a global economic meltdown. Surely nobody expected them to. After all Davos is all about exchanging ideas. And there is always hope that those ideas will turn into actions.